We are an employee-owned custom injection molder that provides an integrated single-source solution for your custom plastic injection molded components. Our experience, capabilities, and state-of-the-art facilities allow us to handle simple to complex operations for most industries through out all stages of your project. Our molding capabilities allow us to process a comprehensive range of engineering and commodity-grade resins. Currently serving the Medical, Pharmaceutical, Dental, Defense/Military, Safety, Electrical/Electronics, Aerospace, OEM/Industrial Industries, and various Custom Molding Markets. 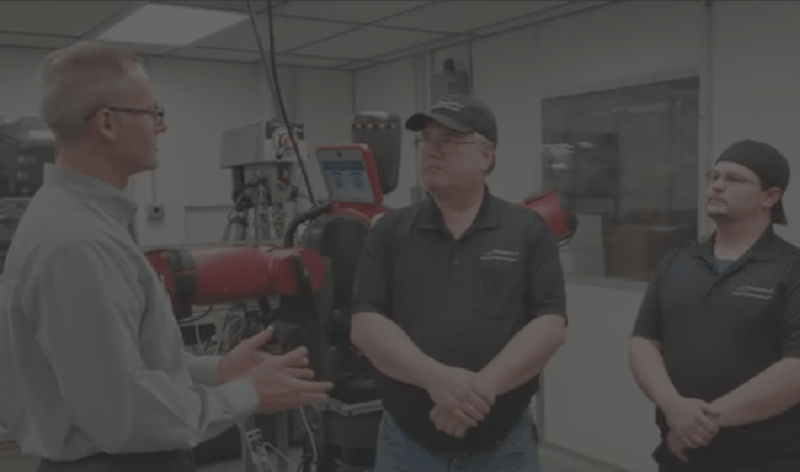 Whether you’ve got a big idea you want to discuss with our engineers or if you’re ready to get things molding, we’re here to help you succeed. From conception to creation, you can rely on us to be your manufacturing partner! Our Tooling Operations for new injection mold builds, mold maintenance, repair and revisions, along with our Project Management Team and Engineering Services are located in our 23,000 square foot facility. Our skilled journeymen mold builders use CNC automated hard machining centers, die sink EDMs and a wire EDM. In addition, several Swiss screw machines to manufacture precision Swiss screw machined components for inserts or as finished product. Operating 24/7, our 50,000 square foot injection molding facility houses state-of-the-art, CNC, hydraulic and electric, horizontal and vertical/vertical injection molding machines following scientific injection molding principles certified by RJG and GSPC. With our expertise in kitting, product assembly and value add services we can integrate this in-line at the press by utilizing QRM cells, collaborative robots and other automation. Our Medical Molding operates under FDA registered and ISO 13485 certified procedures. We perform injection molding services in a certified ISO 8 clean room and assembly and packaging services in a certified ISO 7 clean room which operates under ISO 13485 certified procedures. Leading the industry in complex product assembly for the past 10+ years manufacturing class I, II and III medical devices and components.